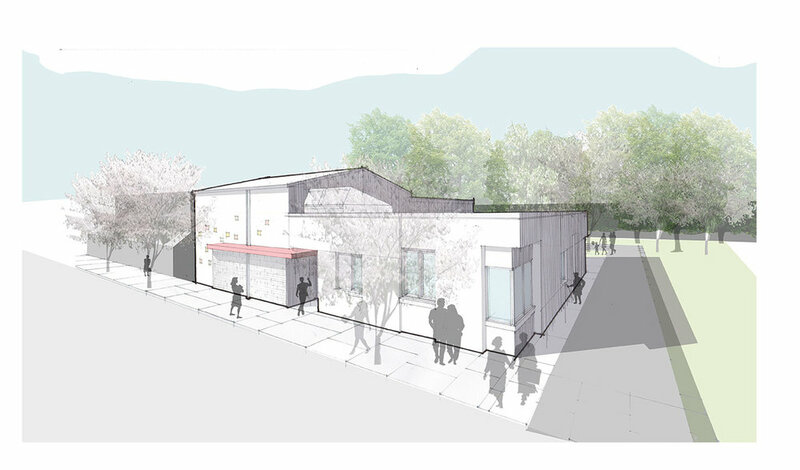 The Mount Hope Baptist Church of Faith joined with Studio 6mm in undertaking an ambitious expansion project in the Mill Creek neighborhood of Philadelphia. In addition to expanding its operational abilities, this new Mission Center seeks to engage the community and serve it in a meaningful way. Specifically, the Church seeks to develop a facility that serves both congregation members and community residents through family and individual counseling, emergency social services referrals, youth development, literacy and self-sufficiency programs, and instruction in the creative arts. The addition of a new multipurpose building in this project will serve both existing and future church members by allowing Mount Hope Baptist Church of Faith to expand its congregation. The rest of the project will serve the greater community surrounding the Church through the addition of a variety of support spaces. 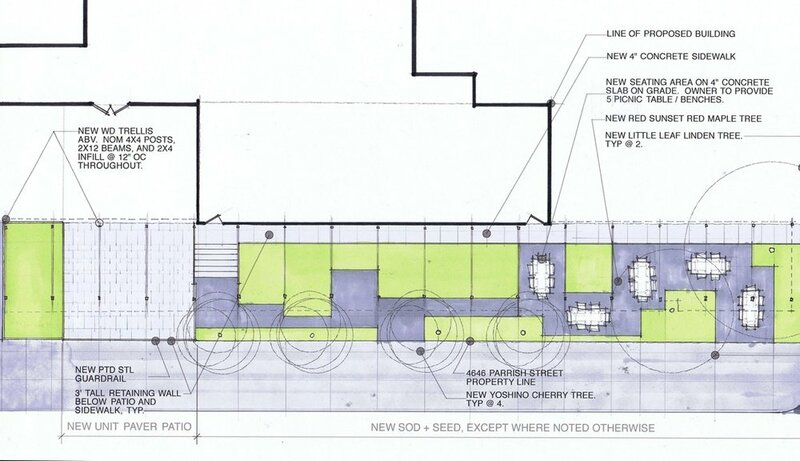 A large patio on the corner of 47th and Parrish Streets intends to quite literally remove the barriers between the community and the church. As an exterior extension of the interior program space, this multi-use platform is intended to be used as an exterior chapel, a gathering space for local residents, and an informal way for the congregation to minister to its neighborhood.